For decades, Angela Bowen has followed her passions and missions in the face of poverty, racism, sexism, ageism and homophobia. She influences and inspires legends by being her authentic self, encouraging people to have faith in themselves, to discover their own talents, and to follow their dreams, but not for themselves alone. For six decades, Acey Honoree Angela Bowen has pursued her passions – dance, activism, writing and teaching- influencing and inspiring untold numbers. She trained and taught at the legendary Elma Lewis School of Fine Arts in Roxbury from 14 to 22. Her talent and skills enabled her to dance professionally and establish the Bowen Peters School of Dance in inner city New Haven, Connecticut, which she ran with her husband for nearly two decades. Bowen learned what it meant to be a strong woman from her dance mentor and her mother. In the 1970s, she discovered Feminism, especially the work of poet warrior, Audre Lorde, convincing her to follow a new life path. Bowen became an out Black Lesbian feminist both nationally and internationally and was one of the first recipients of a Ph.D. in Women’s Studies at Clark University. 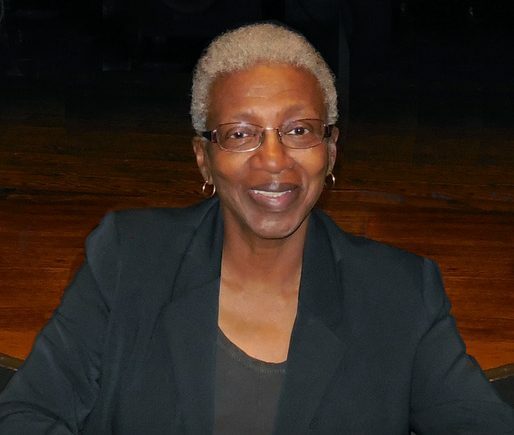 Dr. Bowen is an Audre Lorde Scholar and has written and spoken about the connections between and across social justice movements. She retired from teaching in the department of Women’s Studies at California State University where she taught for 13 years. Dr. Bowen’s Dissertation: “Who Said it was Simple: Audre Lorde’s Complex Connections to Three U.S. Liberation Movements, 1952-1992” is the first dissertation about Audre Lorde. The final chapter “All These Liberations” is included in Lambda Award-winning The Wind is Spirit: The Life, Love, and Legacy of Audre Lorde, a bio/anthology by Gloria I. Joseph. The following interview on Angela Bowen’s life and legacy was fulfilled by her partner, the feminist filmmaker, Jennifer Abod. To learn more about Abod and her documentary, The Passionate Pursuits of Angela Bowen, please visit Women Make Movies, Abod’s Facebook page or the documentary’s Facebook page. How did you and Angela meet? I first saw Angela in July 1979 in New Haven, Connecticut. She was a speaker at rally after a citywide candle-lit Take Back the Night march protesting violence against women. What inspired you, Jennifer, to make the film? In the canon of documentary films, stories exploring the complexities of Black women’s lives are rarely told: Black feminists are seldom heard nor seen, and Black lesbians are practically invisible. This film is important to anyone who wants to know more about the history of dance and the emergence of the Black LGBTQ movement. Her story inspires anyone interested in trying to be their authentic self, and challenges us to recognize and appreciate how race, class, gender, age, and sexuality can inform decisions and strategies for survival. How has Angela’s work changed over the years? From inner cities streets of Boston, to star dancer, to founder of Connecticut’s beloved Bowen-Peters School of Dance, to Black lesbian feminist activist, to distinguished writer and professor, Angela Bowen has had many identities. In each one, she has encouraged and influenced all those around her to reach their fullest potential and embrace their true selves. Angela was born in Boston in 1936. She was the sixth of seven children. She was an excellent student and athlete. She loved reading and was a champion track runner and speller. In 1950, when she was 14 years old, she began a love affair with dance that lasted until her early forties. Her mother brought her to dancing school because of the “D” she received in physical education, because of bad posture. Her dance mentor, Elma Lewis, an alumna of Emerson College, and one of the first recipients of the MacArthur Fellows Grant (1981) opened her school in Roxbury, the Elma Lewis School of Fine Arts, in 1950. Angela and her sisters were among her first students. Lewis recognized Angela’s natural talents and teaching abilities. She became Lewis’s right hand assistant and the school’s first Prima Ballerina. When she wanted to pursue dance professionally, Lewis didn’t want her to leave and Mrs. Bowen told her that dance was not a career just something to enjoy. Angela enrolled in Emerson College and majored in speech and fine arts. When her mother died, in her early twenties, she left college and moved to New York, where the “No Blacks on Broadway” rule reigned, forcing her to dance in Europe. She danced for 10 months with the historic all “Sepia,” Jazz Train in Italy and Germany. Dance life on the road wasn’t for her. She chartered a new course and returned to Boston to marry the young man who had been pursuing her. Ken Peters, a drummer, helped establish her dance school, The Bowen Peters Cultural Arts Center, which ran for 19 years. (1963-1982). With $300 dollars they purposely established their school in a storefront among the abandoned boarded up houses and empty lots in inner city New Haven. Bowen-Peters was a non-profit community arts organization that provided major cultural resources to the minority community. Angela was the school’s director and inspiration. She directed dance recitals and performances, managed teachers, created choreography, and brought choreographers and musicians to the school. She wrote programs and grants, and advocated for minority artists and arts programs in the city and the state. I first met the poet and radical Black feminist Audre Lorde in the 1970s at 2 a.m. My family tucked in, I was reading the lesbian magazine Azalea and found myself laughing and thrilled by her writing. Not long after, I met her in the flesh at a feminist bookstore where she was reading her poetry, one-breasted and comfortable without a prosthesis. Lorde gave Angela her card. That was the beginning of a special relationship between the two Black lesbian feminist activists, writers, and mothers. Dr. Bowen earned one of the first Women’s Studies Ph.D.’s in the country. She was the first Black woman and out lesbian hired in the 30-year history of the Women’s Studies Department at Cal State Long Beach. She taught in Women’s Studies and briefly in the English Department at Cal State Long Beach, and left after her battle for a course on the writings of Toni Morrison, which she did win. Angela and another colleague created the course U.S. Women of Color, which became a staple in the Women’s Studies Department. During her tenure as President of the Commission on the Status of Women she advocated for equal pay for women. She was the keynote speaker at the first LGBTQ graduation ceremony at CSULB. What does it mean to see Angela honored by Astraea’s Acey Social Justice Feminist Award?